The Teac WM10 is a fixed wall bracket to accommodate flat panels from 15″ to 22″ (40cm to 56cm). It has a maximum weight capacity of 25kg and is vesa 75/100mm compliant. 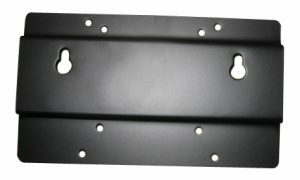 All mounting hardware is included for easy and hassle free installation.